Imo state's governor Rochas Okorocha caused a controversy when he unveiled a statue of South Africa's President Jacob Zuma in the state. Apparently, Zuma's statue is not the only statue to be unveiled. 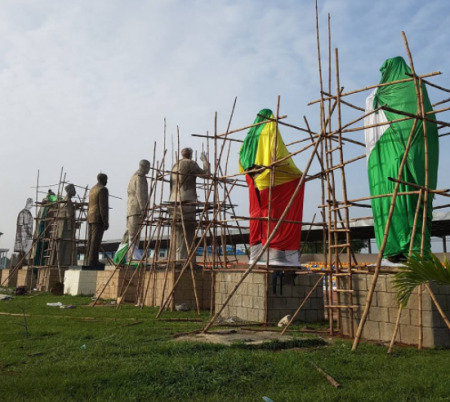 Here's a leaked picture of other statues being worked on: Jacob Zuma's is the only completed one. Who are the others, can you guess?